A supernova can be defined as a stellar explosion. It occurs when a star reached the end of its life and explodes. It radiates a huge amount of energy and light. For a short period of time, this light can outshine the entire galaxy it took place in. It is so bright that it takes weeks and sometimes even months to fade away. It happens when there is a change in the core of a star. A supernova can accelerate particles to at least 1000 times the energy of particles in the Large Hadron Collider, the most powerful one on the earth. 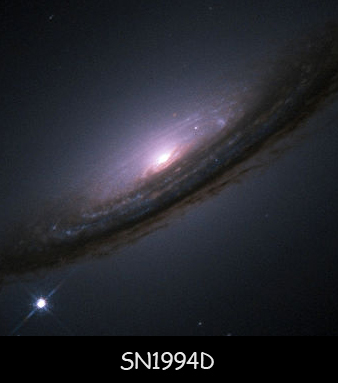 SN 1006 was the brightest supernova to be ever observed and recorded. These supernovas create shock waves that can also trigger new star formation. These shock waves travel through the interstellar medium so dust and gas gets bound to it and contribute in its expansion. The material expelled as a result of this travels at a very high speed of 30,000 kilometers in one second. Supernovas are also responsible for elements like oxygen, iron, nitrogen and carbon that can be found on earth. Although they burn for a short period of time, they can tell scientists a lot about the universe. These explosions also take place in binary star systems. These star systems have two stars one of which is a carbon-oxygen white dwarf and the other one is known as the companion star. They shoot out billions and billions of atoms in every possible direction. This way a colorful nebula is formed. S Andromeda was the most recently observed supernova. It took place in Andromeda Galaxy in 1885. Declan, Tobin. " Fun Facts for Kids About Supernovas ." Easy Science for Kids, Apr 2019. Web. 23 Apr 2019. < https://easyscienceforkids.com/supernova-facts/ >.